The story did not seem to me to be “a non-story” and Coburn and Farage compound the original insult by referring to it as a joke however crass or tasteless they may describe it. these people deserve to be thoroughly and mercilessly ridiculed until they sit up and pay attention. It is time they understood and appreciated what a joke can be! 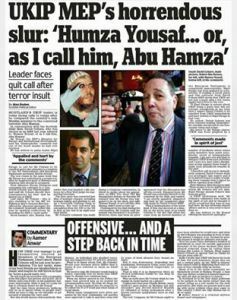 UKIP said David Coburn had apologised to Humza Yousaf. They said he would be making no further comment on what a spokesman described as a “non-story”. But that’s unlikely to be the last word on the matter. Mr Yousaf said he was taking “legal advice” to see if he could pursue a complaint under legislation against race or religious hatred. It has also emerged that the Scottish government is inviting MSPs to vote to express their disapproval. Cabinet minister Alex Neil has tabled an amendment to a motion celebrating Scotland’s diverse communities. 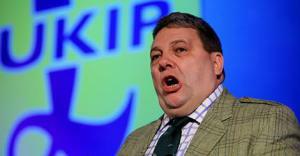 It says parliament “unites in condemning the recent comments by David Coburn MEP”. MSPs will decide on Wednesday whether or not to endorse that rebuke to Scotland’s most outspoken Euro MP. I had not realised what a horrible nasty man Farage is and Coburn is completely beneath contempt. 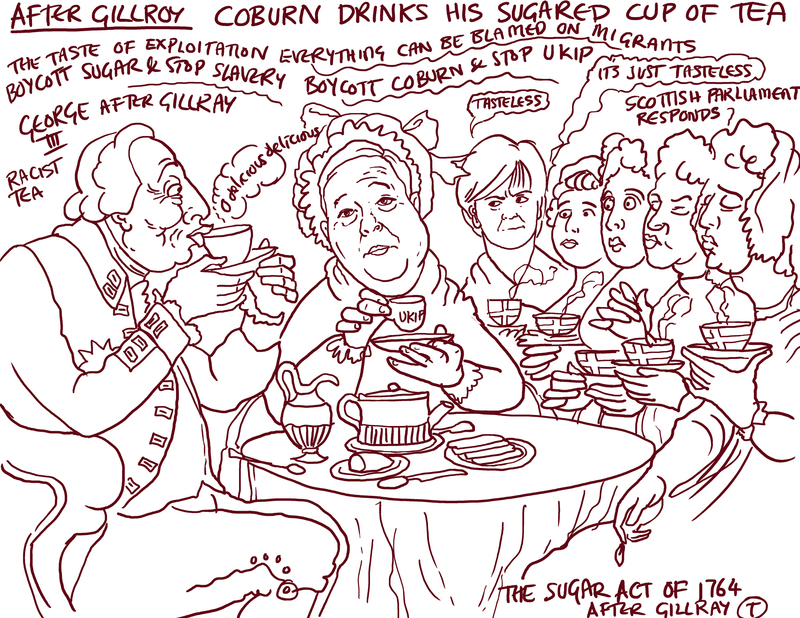 coburn- odious man. compare him to the drawing of Humza!! there is only one word to describe Coburn and we sit on it.